Me: I want to post my sambar recipe today in my blog. 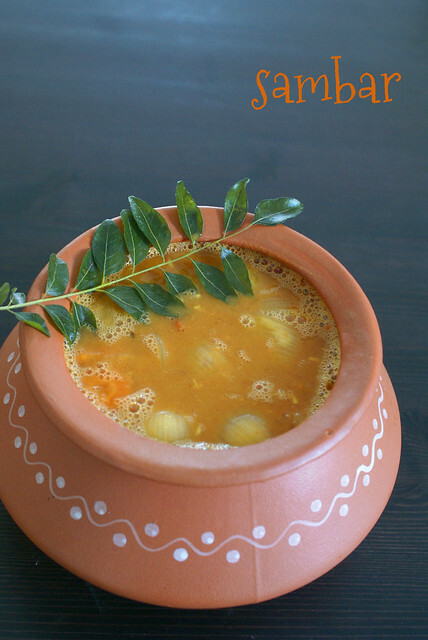 DH: Sambar….. but its such an easy everyday recipe, who would read that? Me: Yes, I know.. Do you know how to make it? DH: Of course, its a child’s play. Me: Then why don’t you make sambar today? Me: Its almost two hours.. what are u still doing in the kitchen? DH: I have almost completed it… but it didn’t actually turn out like the regular Sambar..I am mean it tastes good…but not like the one you make. DH: I am not sure what went wrong. Me : (Seeing the outcome.. of so called Sambar) What is this??? What did u add? DH: Veggies, Tamarind juice, Sambar powder..
DH: DO WE NEED TO ADD DAL??? Take a large cooking pot, and add 1 glasses of water(around 3oo ml). Bring it to a boil. Add all ingredients from onions to curry leaves. Add salt, and cover and cook for 5 mins, till half done. Then add Sambar powder, Tamarind juice and cook till veggies are done. Add cooked dal. Mix well. Add an extra glass of water, if you feel its too thick. Adjust salt and add more tamarind juice if required. (i like it a lil bit tangy). Add coconut powder and jaggery, mix well. Heat ghee a separate pan, add hing and then mustard seeds and let them splutter, red chillis and roast for a few seconds, finally add jeera . Don’t burn them. Lastly add curry leaves and immediately add to sambar. Turn off heat and finally add fresh coriander. Serve hot with Steamed Rice or with Idly, Dosa. Coconut powder and Jaggery can be added depending on taste. You can even omit them if you want. Mom usually adds them when making sambar for idly or dosa. For eating with rice, she omits them. For step 2, alternatively you can add oil and do Step 6 and then Step 3 and 4. When they are half done add water. And proceed with Step 5. Fry all ingredients seperately without oil. Grind together into fine powder. For long time storage, double the ingredients. Adding a few curry leaves also gives extra flavor. Don’t add too much as it gives the powder a greenish color. Sambar is my entry to the event Flavors of South India, being hosted by Simply Food. Sambar Powder is my entry to the event Back to Basics being hosted by Desi Soccer Mom. Awesome sambar……… traditional presentation of a traditional dish….loved it…and the idly sambar is too tempting…. Grt going and All the best…. Sambar looks so yummy. Love your presentation and clicks. Regarding mango thokku, yes it will be tangy. But the salt and the chilly powder will give it a whole new taste along with tanginess. Thanks Vardhini…I would love to try the recipe soon. 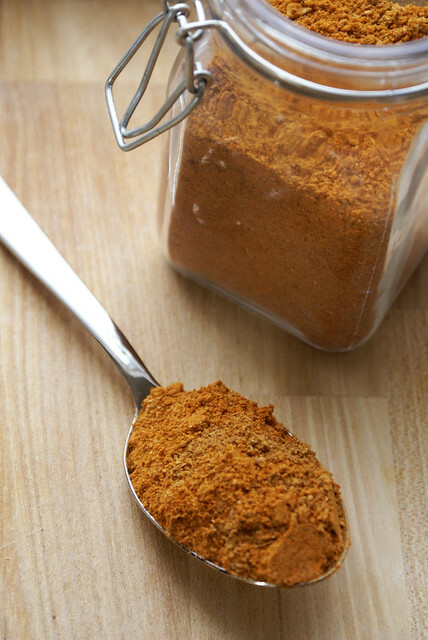 Thank you for sharing your mom's Sambhar powder recipe. I always use the MTR brand but I think it is time I try a home made version. We lived in India (New Delhi) for 5 years and I studied Bharat Natyam with Guru Dakshinamoorthy who was from South India. 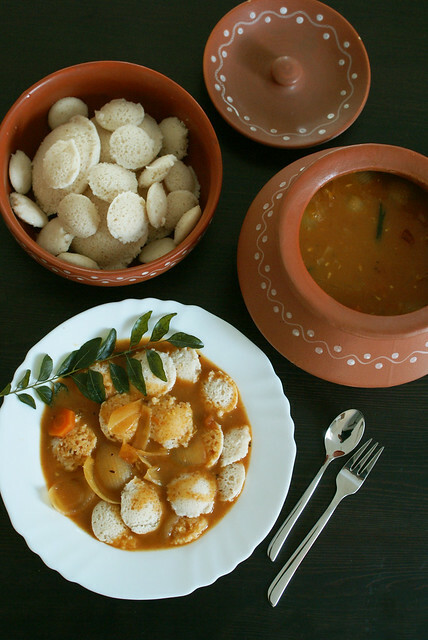 His wife often made sambar and idlis for me because she knew I liked them. Here in Italy I tried making them but it's always a disaster. I've kept your recipe so when we go back home to Sicily I will try it. I'm following you from Rome, where we're spending the summer. Thank you for the very detailed recipe. My daughter hungrycaramella.blogspot grew up in India and adores Indian food too, in fact we both miss India so much. @Ramya Thanks.. I will be sending my recipe to your event soon. @DesiSoccermom Homemade powder is always better, do try it I am sure u will like it. Sambar is a great food and its also helps in digestion and keeps the body cool. 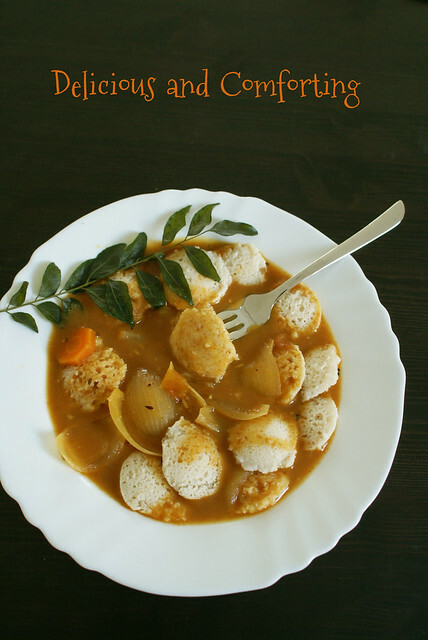 Thanks for sharing this yummy sambar recipe. For food and cooking related tips n facts visit: http://www.facebook.com/borosilandyou.